The Philip G. Ball Company was founded in 1944 by Mr. Philip G. Ball. In November of 1967 Mr. Ball sold the business to Philip L. Cutler, a long time employee of the firm. At that time Philip Cutler was the sole officer and 100% shareholder. The business incorporated under the laws of the state of Pennsylvania on April 1, 1970. Since 1970 the company had gone through few changes. Ownership and integrity continued without fail and still continues through today. On March 11, 2005 Mr. Harris S. Cutler purchased all shares in the company. Mr. Cutler now serves as the organization's CEO. From its modest beginnings in 1944 the Philip G. Ball Company continues to grow into one of the most respected produce procurement specialty sources. Guided by a strong sense of treating business associates, from growers to shippers, receivers and consumers The Philip G. Ball Co is synonymous with integrity. 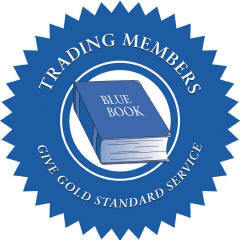 The Philip G. Ball Co. has earned the Blue Book Produce Reporting Company's Four-Star and Trading Member distinction. These ratings are the highest ratings awarded in the wholesale fruit and vegetable industry. Trading membership is an honor service. It represents certification by the industry's leading source and is available to only the top firms in the business. The Philip G. Ball Company has shown the Produce Reporting Company that we operate a company that is financially sound and has an excellent reputation for Honest, liberal trading and payment practices. Achievement of a XXXX rating represents the highest degree of confidence and exceptional moral RESPONSIBILITY. Businesses must represent themselves over time to establish such a reputation of consistently liberal trading policies, complete dependability, reliability and efficiency in working with and in serving connections. More importantly the XXXX rating also requires the trading records of the company and business ownership and management be free from recent financial difficulties. Additionally businesses report evidence of stability in every aspect, that the regularly required submission of balance sheets reflect the healthiest of financial conditions. The Philip G. Ball company is honored with this rating is proud to offer their award winning reputation to you. Copyright ï¿½ 2006-2019 Philip G. Ball Company. All rights reserved.